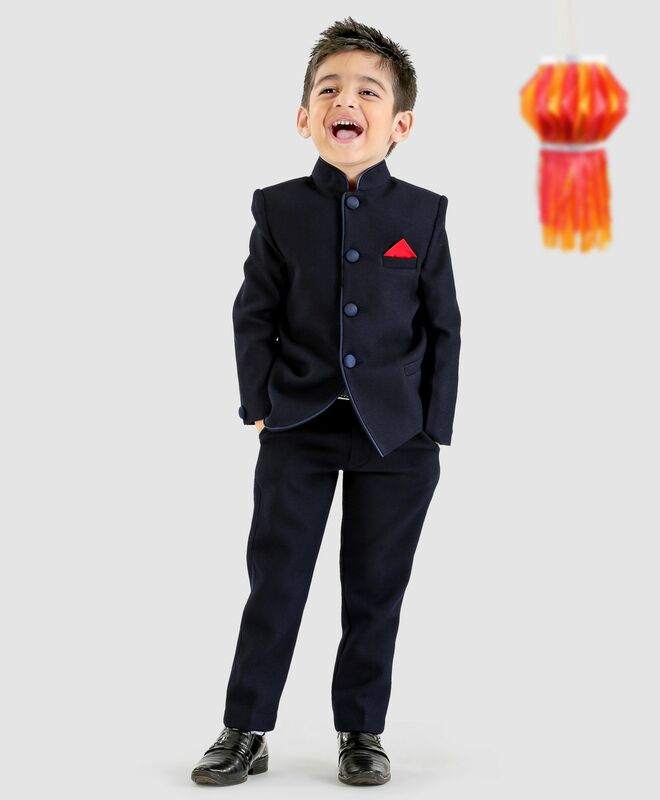 Update your son's party wear wardrobe with this party suit set from Babyoye. This set consists of a Nehru Jacket and a pair of trousers. The Jacket, has button closure, long sleeves, two pockets. The trousers have pockets, a button closure and belt loops. Team up this set with formal shoes to complete the look. Styling Tip: Team up this set with formal shoes to complete the look. "Quality is good but got damaged"
Pant cloth was fluffed ..... Design, fitting and quality was good.